Look, it’s OK if you have enough money to buy an iPhone. But for God’s sake, don’t get it fixed. 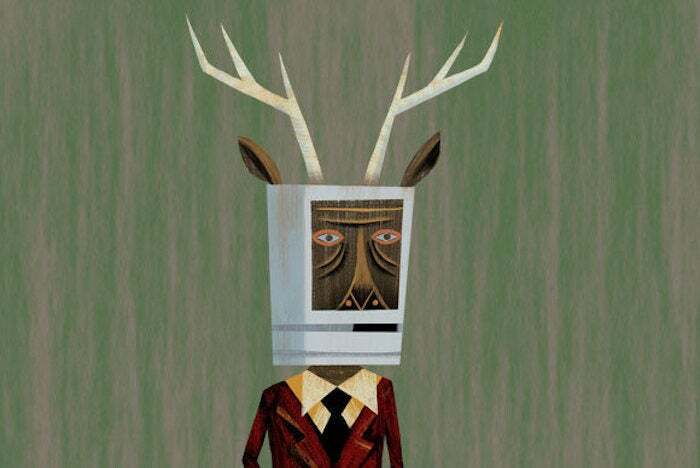 As it has become clear just how luxurious life within the Apple ecosystem tends to be, so too has it become clear why Apple power users — often dubbed “sheep” — tend to behave in the ways that they do. Who calls them sheep? People do. That’s all we need to know. And straw men are the definition of intentionally misrepresenting something because it’s easier to defeat than a real argument. Ah, so, I eventually want to become an iPhone owner, so I buy an iPhone. Well, that’s certainly straightforward. The Macalope thought it would be a little more complex than that. To those on the outside, this is impossible to imagine; indeed, it makes some angry to even consider that people perform the duties of an Apple devotee as dutifully as they do. Yes. All the… things we do. So dutifully. [whispers] what is he talking about? …one of those oft-mocked duties is enduring the permanent anxiety induced by the fragility of most of Apple’s products — namely, the iPhone, and specifically, the iPhone X.
iPhones are remarkably fragile compared to other smartphones. That is an interesting thing to say. Is it true? Allow the Macalope to respond to that premise with a quote from… let’s see… Oh, it’s actually Zander Nethercutt, six paragraphs later. …the same company providing the data for the repair market share found there to be virtually no difference in the tendencies of the phones to break, assuming typical use. Oh. So, if anything, this article has shown that iPhone users are roundly mocked for phony-baloney conventional wisdom claptrap. Which we already knew. According to the data Nethercutt quotes, while iPhones only have 27 percent market share in the U.S., repairs to iPhones are responsible for 46 percent of the repair market. What could explain why iPhone users tend to be more likely to repair their phones? Why, because they’re giant fops who only care about image, of course. Dude, we just wanna get the phone fixed. It is, no doubt, true in many circumstances that some iPhone owners are image-conscious. If you have a drawer full of pocket squares, you’re likely to also have an iPhone. But, there’s a much simpler explanation for why an iPhone owner would be more likely to repair a cracked screen. It’s because they tend to have more money. So, is it how you view yourself that makes you repair your phone or the fact that you can simply afford to repair it and who wants to cut their fingers on the screen of a phone that’s probably not working well anymore? Well, guess what, even the functionality of the phone is an image factor. …owning a perfectly functioning iPhone is in direct agreement with the person they already are. You can’t argue with this logic because it’s circular. Just how janked up and non-working is the phone supposed to get before one can have it repaired and not feel like Louis XVI trying on wigs? There’s no doubt Apple sells a certain image. So does Samsung. And Honda. And Coke. But one of the reasons Apple products cost more is they tend to be better made, work better and have better resale value. Which is one of the reasons why fixing an iPhone can also be a good financial decision, rather than some deep-seated psycho game you play with yourself about who you are. Now, if you’ll excuse the Macalope, he has to go re-gild his polo mallets.